Following the local elections on 31 March 2019, we ask the Turkish authorities to accept the election result. Certainly, every party has the right to ask for proving of the results if there are doubts as to their legitimacy. But it is concerning that in spite of the fact that a week has passed, the final results in İstanbul have not yet been announced due to repeated appeals of the AKP, and due to repeated recounting processes. This is contradictory to the previous decisions of the High Election Board, which has refused similar appeals of opposition parties in several other municipalities. 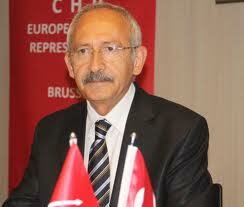 The overall electoral climate of the local elections of 31 March 2019 in Turkey raises many questions, particularly regarding the media landscape, the campaigning, the political environment, freedom of expression in general, as well as serious violations of impartiality on behalf of the state apparatus in favour of the ruling party. The electoral campaign, therefore, raises questions about the fairness of the electoral process. Referring to the preliminary findings of the Congress of Local and Regional Authorities’ election monitoring mission, we reiterate that today Turkey is deprived of a free and fair electoral environment, which hampers Turkish democracy in general. We thus call on the Turkish authorities to ensure that the High Election Board and the District Election Boards are allowed to carry out their work openly and transparently. Their work needs to be carried out in full compliance with the rule of law. We call upon the Turkish authorities to commit themselves to the values of the Council of Europe and to acknowledge the will of the people.